Home » About Book Blogging » “Freud’s Mistress” post – coming soon! “Freud’s Mistress” post – coming soon! I’m almost done with the book and look forward to telling you about it! The blog will go up on Tuesday – and there will be a giveaway! Freud’s Mistress is the third novel by Karen Mack and Jennifer Kaufman. Their first novel, Literacy and Longing in L.A., reached #1 on the Los Angeles Times Bestseller List and won the Best Fiction Award from the Southern California Independent Booksellers Association. Their second novel, A Version of the Truth, was also a Los Angeles Timesbestseller. 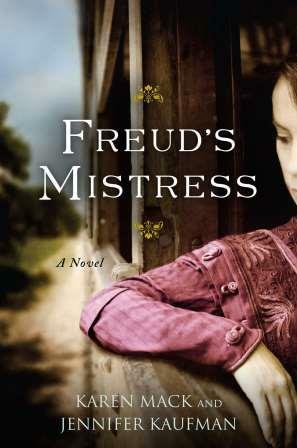 Freud’s Mistress is their first historical novel. Karen Mack, a former attorney, is a Golden Globe Award-winning film and television producer. Jennifer Kaufman is a former staff writer for the Los Angeles Times and a two-time winner of the national Penney-Missouri Journalism Award. Both authors live in Los Angeles with their families. For more info on the book, click here! This entry was posted in About Book Blogging and tagged book tour, Freud's Mistress, Jennifer Kaufman, Karen Mack, Literacy and Longing in L.A., Sigmund Freud. Bookmark the permalink.